Are you interested in lowering your monthly car payments and saving on interest? Then refinancing your car loan may be your best bet. We know that applying for financing can be stressful. 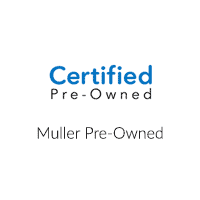 At Muller Honda Pre-Owned we cover the ins and outs of refinancing so you’re armed with all the information you need. Read on to learn how to refinance a car loan in Chicago! How Do You Refinance a Car Loan? Check Your Credit Score: If you have been paying all your bills on time since your vehicle was purchased, there is a good chance your credit score has improved and you could benefit from refinancing. Start Applying: Apply to several automotive refinance companies to ensure you get the best rate. Make sure you submit all applications within a 14 day period to minimize the negative impact on your credit score. Evaluate Offers: Take time to run the numbers to make sure any new offers coming back will get you the monthly payment you are looking for. Decide Loan Term: Decide if a longer or shorter term loan fits best fits your situation. A shorter term loan will require larger monthly payments, but you will pay less interest in total. With a longer-term loan, your monthly payments will be smaller, but you will pay more in interest in the end. The best way to refinance an auto loan depends on your circumstances, so make sure that any offer or term you choose works for your situation. Fees: You will want to check your original car loan to make sure there aren’t any fees associated with paying it off early. If there are, refinancing may not be cost effective. Underwater Finances: If you owe much more than your vehicle’s currently worth, it can be harder to get approved for refinancing. Older Vehicles: Many lenders won’t refinance an older car that has already experienced major depreciation. If you find yourself in any of these situations, contact the finance center at Muller Honda Pre-Owned. Our experts can give you advice and guide you to options that better fit your circumstances. Our finance experts are waiting to share what you need to know when refinancing your car. If you have additional questions, contact us to speak with someone today!